The naira is expected to firm slightly to 360 per dollar at the Central Bank of Nigeria’s Investors and Exporters Foreign Exchange window next week as trading picks up after the Christmas and New Year holidays. The local currency had traded weaker at 362/dollar at the I & E FX window on thin volumes on Thursday. 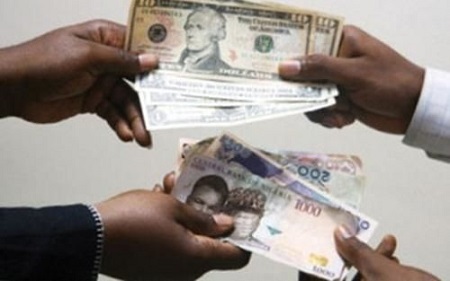 The naira closed at 363/dollar at the parallel market on Friday, while at the official market, it was quoted at 305.95. The CBN’s regular interventions in the forex market have supported the local currency to remain fairly stable at the parallel and Bureau De Change segments of the forex market. Meanwhile, the CBN has raised N161.54bn ($513.64m) at a Treasury Bill auction after it received subscriptions for more than twice the amount on offer. The CBN sold N115.85bn of the one-year debt at a rate of 14.30 per cent. It auctioned N11.77bn and N33.93bn, respectively in three- and six-month maturities at 12.54 per cent and 13.92 per cent. Total subscription stood at N388.50bn. In December, the Federal Government repaid N198bn worth of Treasury Bills using part proceeds of a $3bn Eurobond issue, instead of rolling over the debt to lower its borrowing costs. It plans to repay more bills this year. Investors bid as high as 18.6 per cent for the one-year paper. However, the government has been offering debt at lower yields to track declining inflation, which fell for the 10th month in November to 15.90 per cent. Meanwhile, the Kenyan currency may come under pressure next week on rising demand for dollars, while Zambia’s local unit may firm. Reuters reported that the Kenyan shilling might come under pressure in the coming week due to increased demand for dollars from manufacturers, oil and food importers. The Ugandan shilling is seen trading with a bearish tone in the coming days, weighed down by surging appetite from manufacturing firms as they look to replenish raw material stocks after the festive season. The kwacha may gain marginally next week as firms convert dollars to the local unit in preparation for tax payments due next Wednesday. “The supply side will be supported by corporates selling dollars to meet tax obligations,” independent financial analyst, Maambo Hamaundu, said. The Tanzanian shilling is seen trading in a stable range over the coming days or could weaken marginally, underpinned by subdued demand for US dollars. Commercial banks quoted the shilling at 2,239/2,244 to the dollar on Thursday, weaker than 2,233/2,243 a week ago. “The shilling is expected to remain at the same levels next week, but it could weaken slightly if we see an increase in demand for dollars,” said a trader at CRDB Bank. The local unit was trading at 4.5407 to the dollar on Thursday, same level as its 2018 open.